Mickey Spillane wrote about a private detective named Mike Hammer. 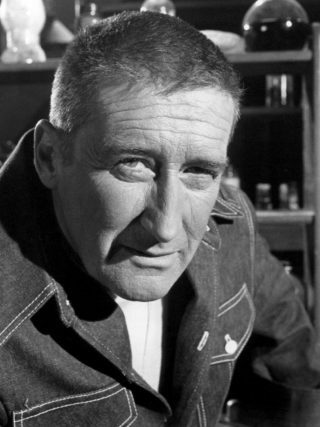 Frank Morrison Spillane (March 9, 1918 – July 17, 2006), better known as Mickey Spillane, was an American cartoonist turned crime novelist, who wrote from the point of view of a private detective named Mike Hammer. “Bestselling writer of shoot-em-up crime novels” is how the Guardian described him in a 2006 obituary. 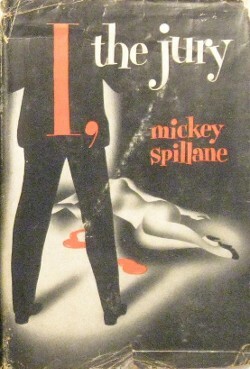 I, the Jury, published in 1947, launched Mickey Spillane’s crime-writer career. 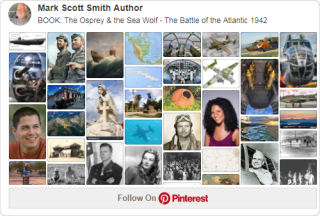 More than 225 million copies of his books have sold internationally. Although the screenplay deviated from the novel, “Kiss Me Deadly” is one of film noir’s masterpieces. Ralph Meeker captured the hard-nosed-get-out-of-my-way character that was the hallmark of Spillane’s anti-heros. I watch it EVERY time it’s broadcast.